Travelling is always a good idea as it makes us more adaptable. The Kashmir is now in news because of its territorial disputes with Pakistan and China but on my last trip, I have experienced different Kashmir. The Kashmir where strange people ask you, Kaise Hain Aap (How are you doing?) before initiating any conversation with you. People will help you with a smile on their face no matter if you’re Muslim or Non-Muslim. The Kashmir Valley is a place where you will find thousands of kind-hearted people. 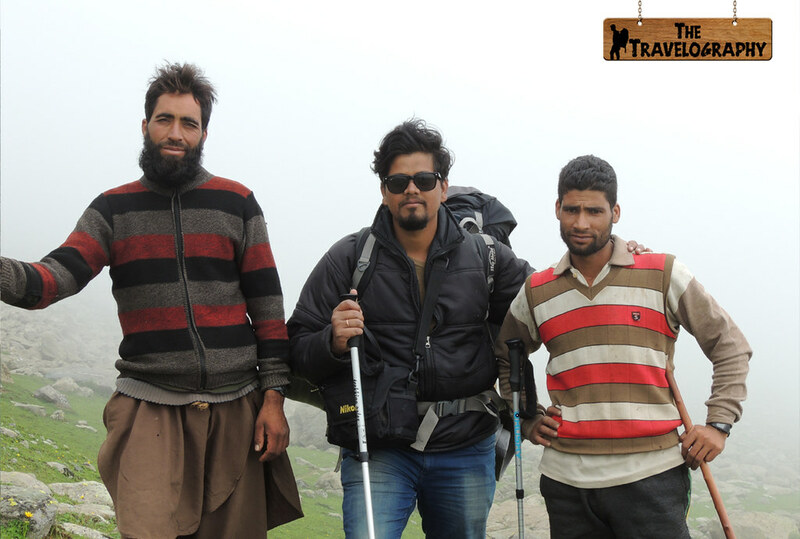 There are many beautiful and nature alluring trekking sites and unexplored meadows in western Kashmir. Unfortunately, due to a shortage of time, I couldn’t explore much in my last visit but I must say your just one visit in the valley will surely change your perception about Kashmir and Kashmiris. Here is my experience of Kashmir. I stayed there for 20 days. If you have already been to Kashmir then do share yours with me via the comment box below or My Facebook page. ￼The Kashmiris are very kind and welcoming. The way they welcome their Guests is just amazing. They will make you feel special as long as you are with them. I was hosted by 2 locals of Kupwara and they picked me from Srinagar and took me to Chandigam, Bangus Valley, Kupwara and offered me the real traditional and Kashmiri hospitality at their homes and guest house. I met their family members and friends too. I never felt I was travelling in the unsafe zone. They are very helpful and dedicated to serving locals and strangers. 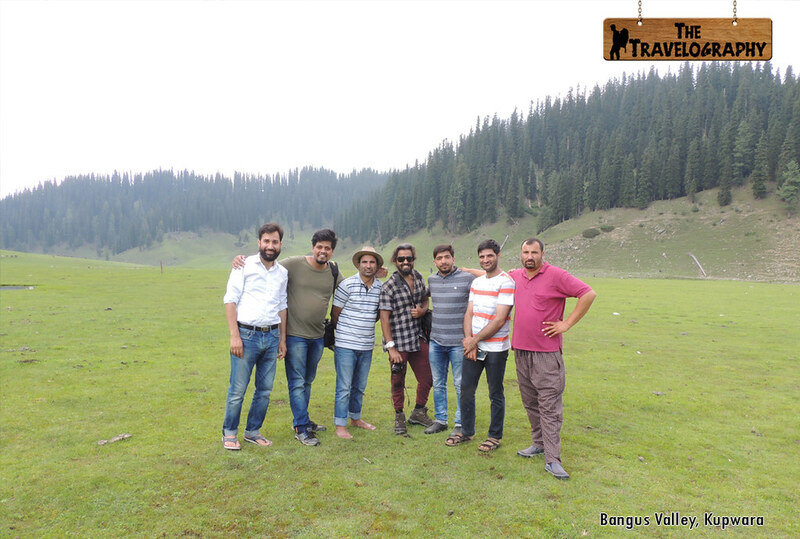 I experienced it when I and my fellow trekker got lost in the forest while trekking in Sonamarg. We tried our best but we couldn’t find our way and then there was a local Kashmiri boy, Shehzad, who rescued us in the forest in the night around 10 PM. I was exhausted so he picked-up my backpack and took us to his home. Believe me, nobody would take that pain to rescue strangers in dark, especially when it is drizzling. Later he also brought me freshwater and offered Kadha (Tea) for free. Not just this, another incident happened when I was camping at Gangabal Lake. There was a guide who was camping near us. We chatted in mountains for minutes and when I trekked down at Naranagh. I found a boy who was standing there for hours, to take his home. He was a son of the person I met at Gangabal Lake. He hosted us at his home and his wife cooked fresh food for us in for free. You won’t find the slums in Kashmir. The Kashmiri believe in luxury life and their homes are too big and sumptuous. They use Deodar ( Kashmiri cedar) in making their home as its slow-fragrance lasts for years. 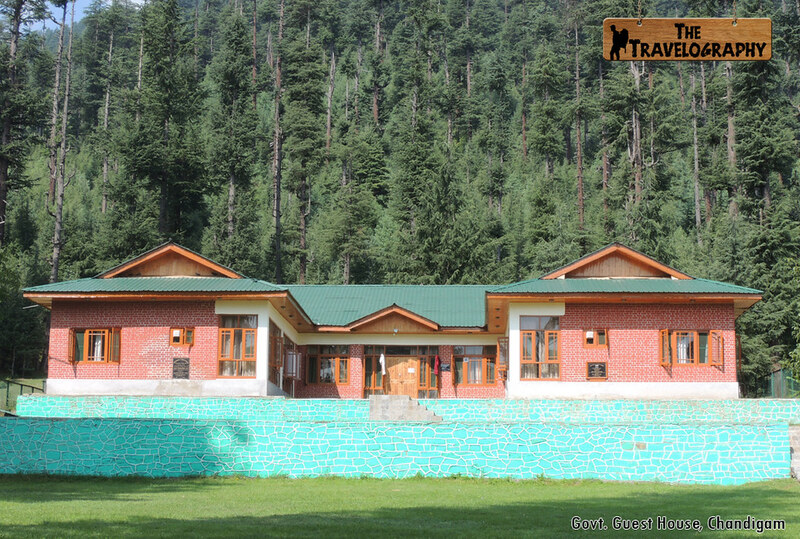 The Hotels, Houseboats, Homestays charge very reasonable amount and you can get from just INR 300/ onwards for a night. The Kashmiri cuisine has many varieties of foods from Vegetarian to Non -Vegetarians. Everywhere you will get the mouthwatering food. 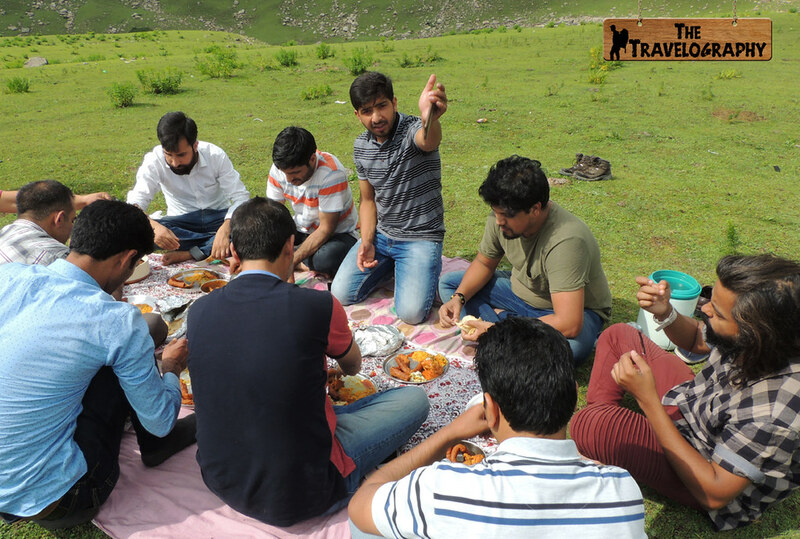 During my backpacking in Kashmir, I tried as many Hotel and Dhaba I could, each one of them served me fresh and delicious food. The Kashmir valley is surrounded by the Great Himalaya and Pir Panjal mountain range. The beautiful valley of Kashmir is a home to the travellers who are trailing in the mountains like nomads. There are numerous Alpine lakes including Gangabal Lake, Krishansar Lake, Satsar Lake, Gangabal Lake, Vishnusar Lake, Nundkol Lake etc. 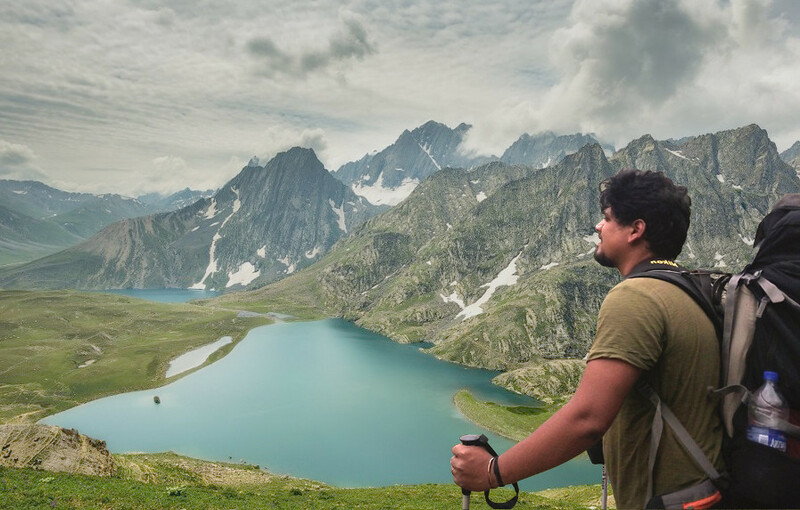 If you are a trekking lover, then you have multiple choices like The Great Alpine Lakes Trek, Gangabal Trek, Kalahoi Base Camp, Amarnath, Bandipora, Tarsar – Marsar, Narastan, Chattargul Mahlish etc. Besides this, there are many other places which are not opened for tourists presently. Due to violent demonstrations and terrorist activities travel to Jammu and Kashmir is strongly discouraged with the exception of Ladakh, and Jammu and Sri Nagar. The ability for foreign governments and Indian authorities to provide protection remains severely limited. Stay in touch with friends and family while travelling there. Happy Travelling. Hey Buddy!, I found this information for you: "Why Kashmir Should Be Your Next Destination?". Here is the website link: https://www.thetravelography.in/why-kashmir-should-be-your-next-destination/. Thank you.